Customers expect modern businesses to be available 24 hours a day, 7 days a week. If you have a website and a social media presence, consider taking your business one step further. Next on your agenda should be developing an app, as it will greatly improve business marketing and branding. 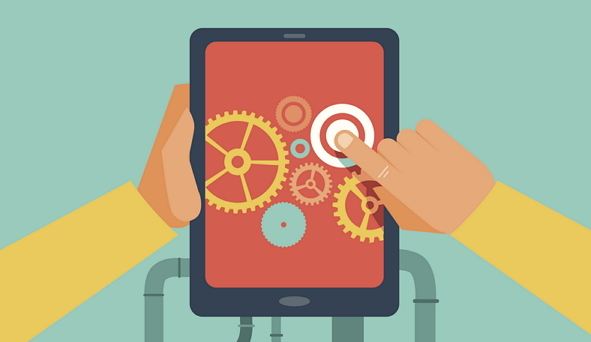 You may worry about the costs associated with app development. Here are the top 5 free app development software for business owners. If you want to make Android apps to provide great customer service, use the MIT App Inventor. This app creation tool requires no professional development skills. All you have to do to make apps is use your web browser to access the easy-to-navigate drag and drop interface. However, because this app creating tool is relatively new, we encourage you to save your work multiple times throughout the process. It also would not hurt to back up your work on an external hard drive. If you have little to no app development experience or skills, consider trying out the MIT App Inventor. Appery is one of the free app development software in this list that utilizes a drag-and-drop style app builder. It is also the only platform that is entirely cloud based. Appery includes visual development tools. In addition, it offers integrated back-end services to assist you in building your app. Appery plans start at zero cost. However, they also offer premium plans that cost $180 per month, should you require it. Appery allows the creation of Android, iOS and Windows Phone apps. If you need a cloud-based, drag-and-drop style free app development software, look no further! AppMakr is the only free app development software that allows you to publish your app under your own brand. That provides you complete autonomy over the app. This makes it easy to promote your app using social media marketing. This free DIY app-creation platform allows you to build robust apps for Android and iOS, the two leading app platforms. If you require autonomy over your app, AppMakr is the free app development software for you. Appsbar is the only free app development software that lets business owners create a free app for BlackBerry devices.This is in addition to the standard mobile providers: Android, iOS and Windows. Appsbar also includes free support from a team of app developers. This may be useful for those feeling out of their element. If you want to create a free app that BlackBerry users can access, Appbar is the free app development software for you. Appsme is similar to Appery. It offers both free options and paid options for premium content. It is very easy to use. The company claims that if you can create a Facebook page, you can build a mobile app with Appsme! Your app can be fully customized with the included developer option and its advanced features. If your tech skills leave something to be desired, consider Appsme. It is the best free app development software for those who are not tech-savvy. This last app builder may not be for everyone. GameSalad allows users to build a gaming app with no coding skills. If you are willing to think outside the box, this could be the one for you, as it will definitely blow your business competition out of the water. While maybe not useful for all businesses, this free app development software could be used to build a fun game. That game can then be used to attract customers through other traditional channels. The creators claim you can build a game in hours rather than months. If you are unafraid to try something new, consider GameSalad. This free app development software may provide you unexpected advantages. If you are a business owner looking to reach customers beyond the normal channels, you may be considering building a mobile app. If you want to keep costs low, you may not mind doing the work in-house. Consider the free app development software options detailed in this list. These solutions could provide you with a cost-effective way to enter this new avenue for marketing successfully.